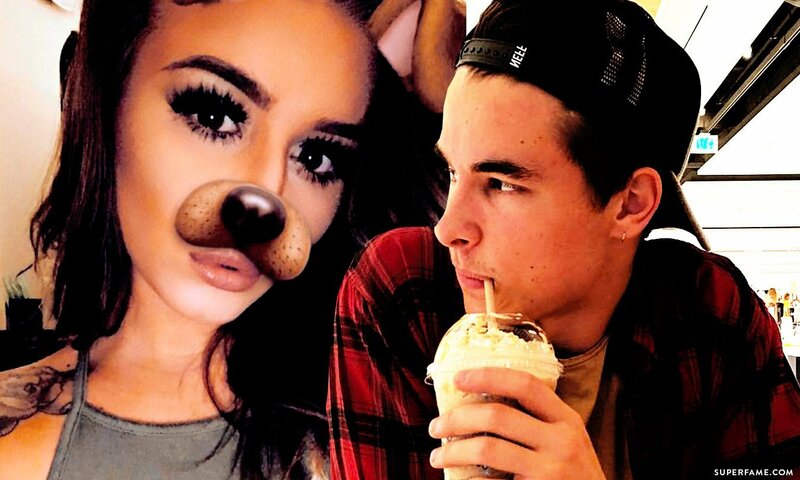 Kian Lawley CAUGHT in Bed With THIS Girl – Andrea Russett Reacts! It appears like Kian Lawley has been having tons of bedroom fun with many girls during his tour with JC Caylen. Alexandria Schneck recently posted a video in bed with Kian Lawley – after he DMed her to meet up! 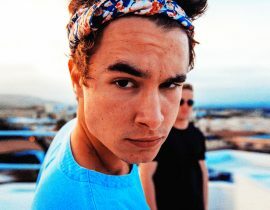 Kian Lawley was thirsty and looking to hook up. A girl caught his eye on Tinder. Alexandria posted her DMs with Kian Lawley. Kian messaged her about her tattoos (Smooth! ), and she thanked him for the compliment. She asked Kian how he found her Instagram. According to Kian, his friend liked her on Tinder. After that, Kian went to stalk her Instagram. 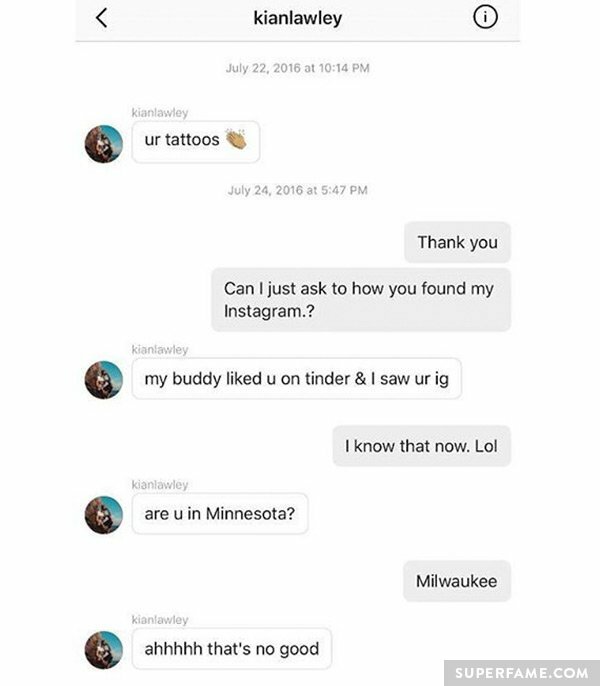 Kian tried to meet up with her, but she was in Milwaukee, not Minnesota. “That is no good,” Kian wrote. Fortunately for Kian, Alexandria decided to drive FIVE HOURS to meet up with him. 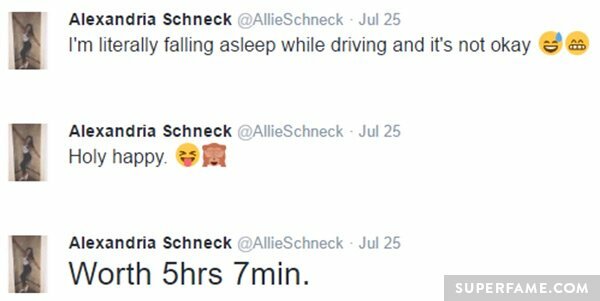 On Twitter, she said she almost fell asleep behind the wheel during her 5-hour drive. Alexandria posted a video in bed with Kian, along with the dog filter on Snapchat. Somehow, Andrea stumbled upon the video and decided to parody it with Trevor Moran. Andrea turned on the same filter and laughed as Trevor leaned on her shoulder and pretended to sleep. Andrea wasn’t finished yet. She went on Snapchat and filmed herself with “Bye Felicia!” and “You’re DEAD To Me!” stamped on the video. Fans started to attack Alex, and she defended herself. 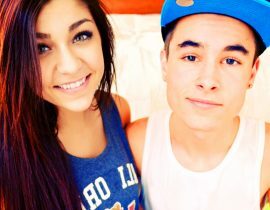 She revealed that she was simply friends with Kian, and nothing more. Alexandria then slammed her haters by calling them “crazy fans”. The duo continued to shade Kian and defend their friend. “Kian is Trump!” Sierra wrote. 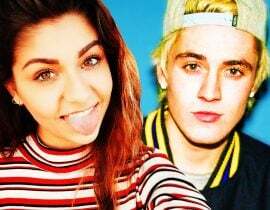 Andrea Russett: I’m NEVER Getting Back with Kian EVER AGAIN! 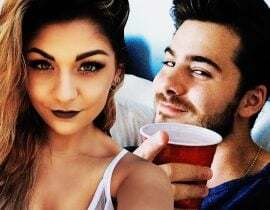 Andrea Russett Blasts Dominic DeAngelis: You’re Desperate! 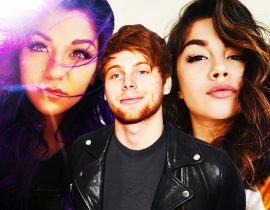 Andrea Russett & Jenn McAllister Are Friends Again After 2 Years of Feuding! 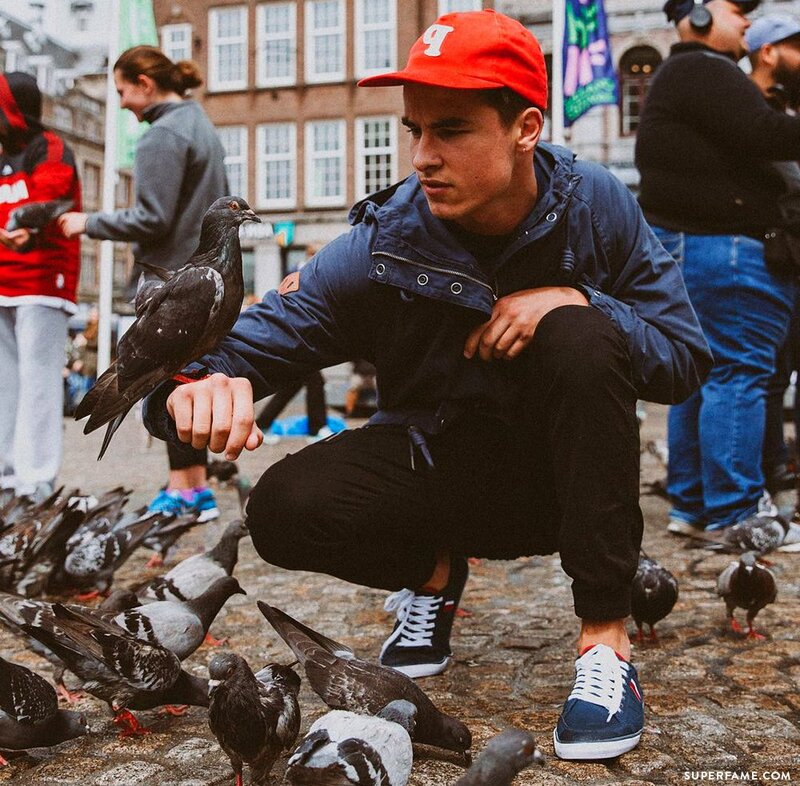 Kian Lawley Reveals Why He WON’T Kiss Fans Anymore! 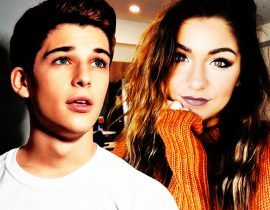 See Andrea Russett & Sean O’Donnell Kissing on Snapchat! 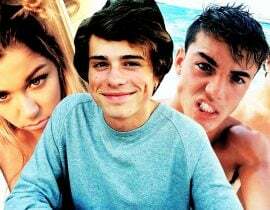 Jack Dail DRAGS the Dolan Twins & Andrea Russett – She Responds!